We can lodge an appeal for you, but we will need to be notified by you within 21 days of the issue of the assessment, and we will need all the information from you. Appeals must be submitted within 28 days, but we will need some time to formulate and submit the appeal. If your appeal is that you were paid on the “Net Deal Arrangement” and your employer was due to pay your tax, then you need to bring the assessment to the attention of your employer, so that they can settle the tax on your behalf. There may still be errors which require appeal, but it is likely that your employer will want to check this to minimise the tax they need to pay on your behalf. If your employer submitted your Tax Return on your behalf, then it is probably that only they will be able to lodge an appeal on your behalf. We will prioritise appeals and deal with them in the order that we consider appropriate – those where we need more information will be dealt with first – and we will notify you when the appeal is submitted, usually by copying you into the appeal receipt from Skatteetaten. Please note that whilst we cannot guarantee the success of any appeal, we are happy to lodge virtually any appeal on virtually any grounds on your behalf. If you changed employer then you may have received holiday pay from your previous employer during the last tax year that relates to previous tax year. This has almost certainly not been taxed, and you will be likely to have a 40% tax liability for this income. 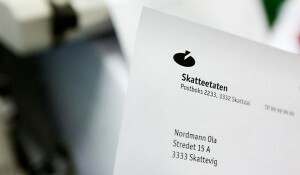 Skatteetaten should have sent you a letter advising you of this additional income on your tax return, and if so, we will need sight of that letter; and your final payslip from that employer. If we submitted the tax return on your behalf…. Any appeal is included in the service that you have already been invoiced for. Please send us an email about the assessment, and we will review it and lodge any appeal on your behalf. If we did NOT submit your tax return…. A copy of your lønns-og trekkoppgave “End of Year Certificate” from each employment. These certificates are non-cumulative, and if you changed employer, then we will need full details of your previous employment. If we did not submit your return, then we also require advance payment of £120 (£100 plus VAT) which covers lodging the appeal, and associated correspondence. The most complex appeals may incur additional costs, but we will make this clear to you at the earliest possible opportunity. We accept all major credit cards, or can provide you with our bank details for direct payment.